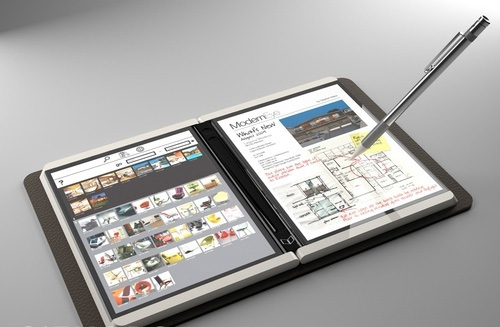 So if you’re still interested in the Courier tablet, Microsoft will be releasing it in 2011. In case you haven’t paid attention these past few weeks, the Courier is Microsoft’s double-screened tablet aimed at, apparently, a market consisting of folks who may or may not want to own an iPad or any of the other *pads that may appear in the next year. Wa-ay-ay-ay-ting, it seems, is the hardest part.